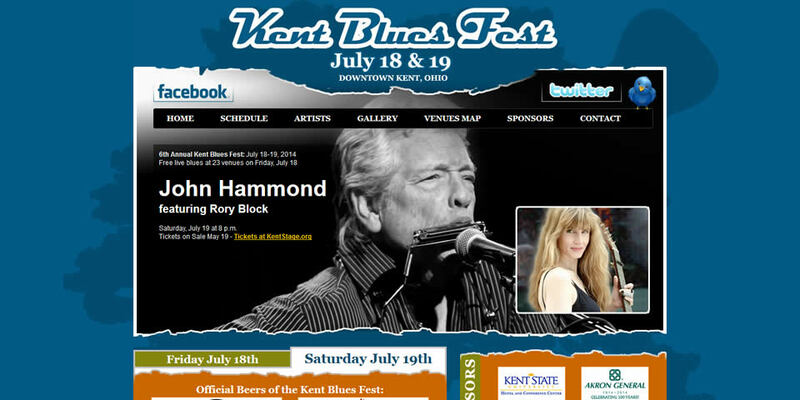 The Kent Blues Festival is an annual blues music event held every summer in Kent, Ohio. With less than two months until the 2nd Annual Kent Blues Festival, the festival committee challenged us to create a Website that perfectly reflected the flavor of the festival, showcased their sponsors and enticed visitors to participate in the festivities. The result was a stunning design that captures the essence of the blues, yet frames it in a young and progressive way, in deference to the college town in which the festival is held.